HARBOR SPRINGS, Mich. – For 26 years the resorts in Gaylord joined forces in a successful joint promotion under the title of the Gaylord Golf Mecca. Now there’s an even larger joint promotional effort in effect there. 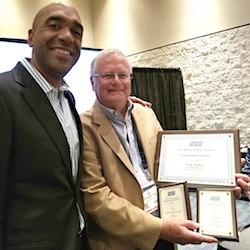 Leading resorts in the towns of Traverse City, Petoskey, Harbor Springs, Gaylord, Bellaire, Boyne City and Thompsonville have united to proclaim their area as the America’s Summer Golf Capital (ASGC). Together the resorts offer 34 courses with designs by such high-profile architects as Robert Trent Jones Sr., Jack Nicklaus, Arnold Palmer, Tom Fazio, Tom Weiskopf, Arthur Hills, Jim Ingh and Steve Smyers. 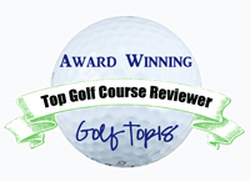 Award-winning courses from Boyne, Treetops, Shanty Creek, Grand Traverse, Crystal Mountain, Otsego Club, Tullymore and St. Ives, Manitou Passage, Lochenheath, Manistee National and Forest Dunes are included in ASGC. 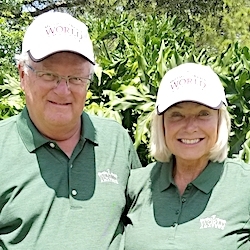 “It really is a list of Who’s Who in Michigan’s golf industry….Many of the courses are regulars on the major lists of where to play,’’ said Barry Owens, ASGC president and the general manager at Treetops. “Building upon the success of Pure Michigan, our state’s award-winning tourism campaign, this collection establishes yet another reason to choose Michigan,’’ added Chris Hale, vice president of Shanty Creek. Northern Michigan has been a favorite golf destination of mine since the 1970s, and – even though the area is loaded with great courses — repeat visits have kicked in. This year included returns to The Heather at Boyne Highlands and The Bear at Grand Traverse. Neither has lost anything in popularity over three decades. No. 18 at The Heather, a Robert Trent Jones design, has one of the best finishing holes in Michigan (pictured above). 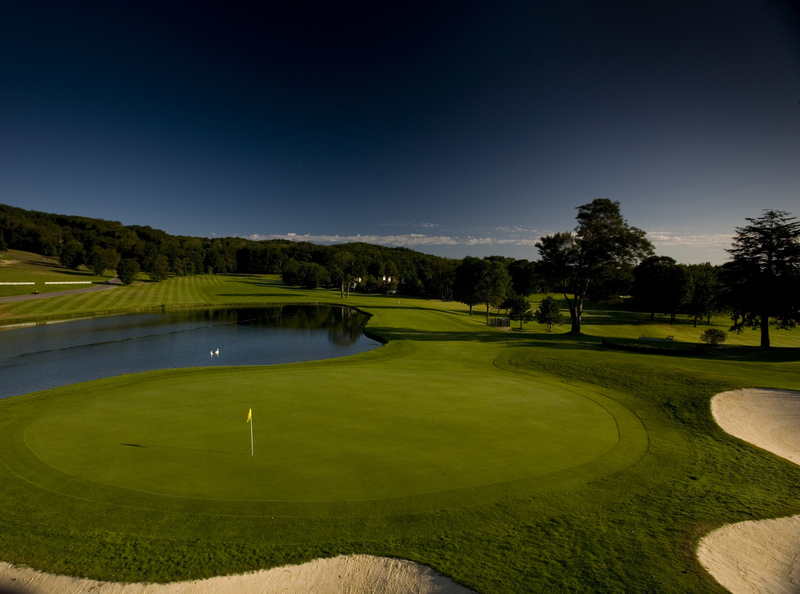 Boyne offers the largest collection of courses in the Midwest, with 11 layouts spread over Boyne Highlands, Boyne Mountain Resort in Boyne Falls and The Inn at Bay Harbor. Also on the list of return visits – after too many years away – were Gaylord layouts Marsh Ridge and The Natural. Marsh Ridge isn’t very long – only 6,231 yards from the tips – but its par-3s are memorable with their array of forced carry tee shots (The best of those — at No. 10 — is pictured below). The Natural offers a scenic tour over rolling hills and scenic wetlands. Both are great fun. 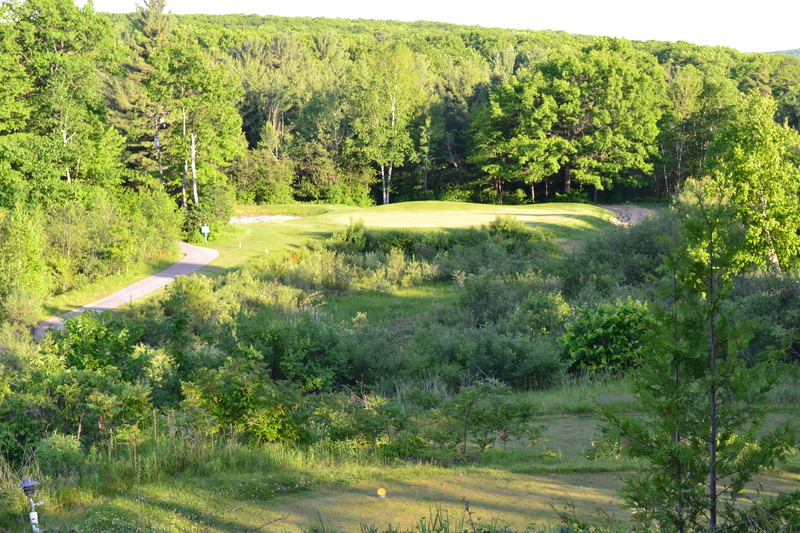 A new stop this season — to the Kingsley Club – may have led me to the best of Michigan’s hidden gems. Finding the Kingsley Club isn’t easy. Not only is it located in a small town but to get to the course you need to find an obscure two-lane blacktop road that’s lined by hilly farmland. That road becomes a dirt road, then blacktop returns briefly only to revert to dirt again. Eventually you get through a dense forest of hardwood trees and find an understated wood sign that tells you that you’ve arrived at what well may be the best course in Michigan. To call Kingsley Club the best in this golf-rich state would be unfair to the fine layouts that I haven’t visited yet (and I’m happy say there aren’t many of those left). Once you get to the Kingsley Club, though, you’re in for a treat. This Mike DeVries design isn’t a brutal test of golf, though it is challenging. It’s not oppressively long; in fact, the scorecard lists it at under 7,000 yards (6,936 from the tips). It has what I consider the strongest short par-3 in the country, if not the world. Kingley’s No. 9 can play as short as 73 yards but no longer than 165. But don’t think it comes up short, as far as the challenge goes. The end result is a 12-year old course that is ranked No. 23 on GolfWeek’s Top 100 Modern Courses. Kingsley Club is private. Its 150 members hail from 20 states and over 60 North American cities. They include such prominent names as Brad Faxon and Dr. Gary Wiren. Guests have come from Australia, England, Ireland, Scotland and Canada. Not to be forgotten, though, is the understanding that the club is also open to new members and will accept limited public play. Understandably a PGA professional will need to make playing arrangements for uninvited guests, but for those lucky enough to wangle a tee time the experience will be worth it.